emedia’s Lead Generation from Start to Finish: A Marketer’s Reference Guide will help you assemble a winning B2B lead generation campaign. Get insights into using white papers, a medium without parallel for filling the lead funnel. Learn how to complement them with webinars and other offers, and how to get the most from your Cost-per-Lead promotions. See all of this illustrated in the form of a case study, involving a typical B2B marketer and their campaign. 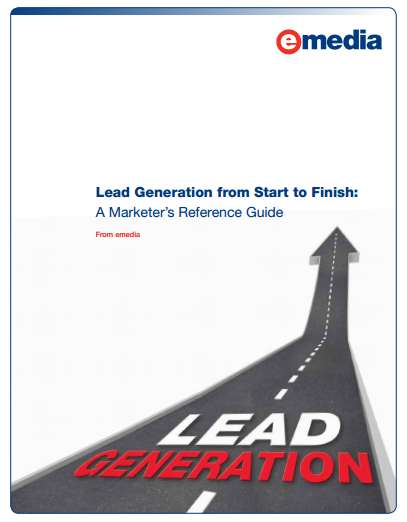 Download Lead Generation from Start to Finish: A Marketer’s Reference Guide today.